There is nothing quite like the pull of nostalgia. 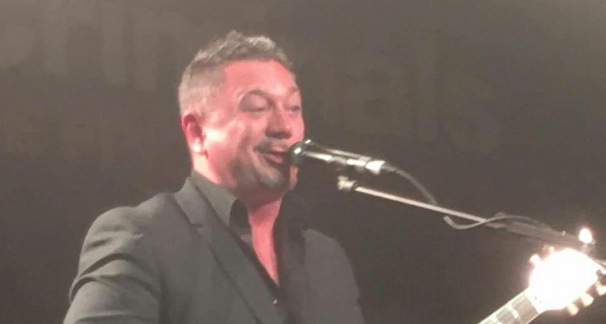 That holds true tonight as the Fun Lovin’ Criminals blow the roof off the Barrowland Ballroom, Glasgow, to a sold out audience of 2,100. The band are introduced on to the stage with the theme tune to Star Wars – they start the gig off with ‘The Fun Loving Criminal’ – just the song to whip any crowd into a frenzy. Being the 20th anniversary tour the band work their way through the albums making it more personal for the fans and easy to participate. Tonight the trio succeed in maintaining their brand of mellow groove and their blend of New York rock, funk, hip-hop and punk. This isn’t young guys trying to play the game this is a fantastic live band who has made it work and fit perfectly together. While Morgan sticks to guitar and lead vocals and Benbini keeps a steady 4/4 beat, Leiser multi-tasks on bass, keyboards, trumpet and harmonica. The album’s stand-out songs – The Grave and The Constant, Scooby Snacks and King of New York – are greeted like old friends by an audience who, judging by their collective appearance, are of a similar vintage to the band themselves. The band hold the crowd in the palm of their hands. Morgan is charismatic and controls the mood of the crowd with the kind of style and class you would expect from the FLC. Being in the Barrowlands Ballroom makes the experience all the more personal – its the best music venue in Scotland in my opinion. Sounds amazing makes me wanna see a gig here.